Mncendisi Mkhize (Middle) with his aunt and uncle. Mncendisi Mkhize produced stellar performances on the bike at this year’s KZN Spur Schools MTB League, which resulted in his selection to represent the province at the national finals in Gauteng on the 5th and 6th of October 2018. 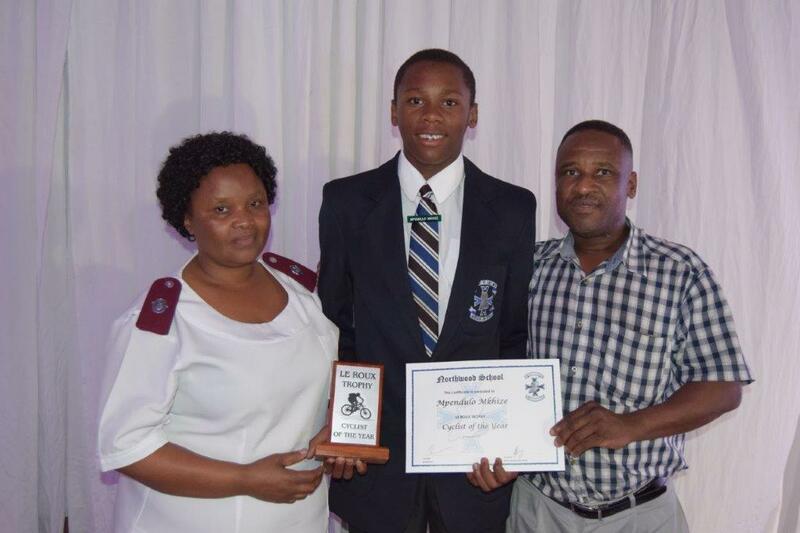 On Tuesday night, he was awarded “Cyclist of the Year” for Northwood School in Durban North where he enrolled at the beginning of the third term on a scholarship from the GO!Durban Cycle Academy. “I feel very happy to win this award, it means so much to me. 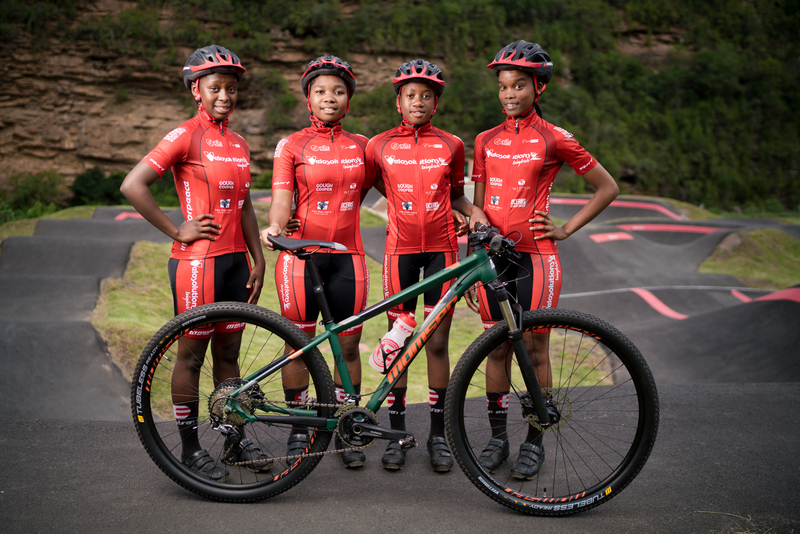 I’m proud to be representing Northwood School and the GO!Durban Cycle Academy at the Spur Schools MTB League Inter-Schools Finals next week,” says Mncendisi. Mncendisi says he wasn’t expecting to be selected this year because the competition during the season was much tougher than last year where he also qualified for the national finals. This is his first year competing in the Youth category (age 15 – 16), and he is both nervous and excited for the weekend of racing. Mncendisi will be joined by his GO!Durban Cycle Academy teammate Sanele Mkhunya from Bheki High School in Inanda. Sanele competes in the Sub-Junior boys category and this will be his first time racing in the national finals. Coach Siya Njiva will accompany the KZN contingent as a chaperone in the team support crew. After the school holidays, the focus will shift to his school work with the aim of successfully passing his Grade 8 exams in November. Bluff Meat Supply (BMS) has grown from humble beginnings on the Bluff in Durban in 1960 to become a significant brand in the province, now comprising 15 retail butcheries and state-of-the-art manufacturing plants that supply the country’s largest retail chains. With a passion for serving the local community and a rich heritage of cycling, we are proud to announce that Bluff Meat Supply has become a partner of the GO!Durban Cycle Academy. What started out as a group of cycling mates, supported by Mark Bielovich personally and later by Bluff Meat Supply (the company), BMS Cycling has established a credible reputation in the road cycling fraternity, as well as to a lesser extent in Mountain Biking and Triathlons over the past seven years, as a KZN-based top amateur age group squad. 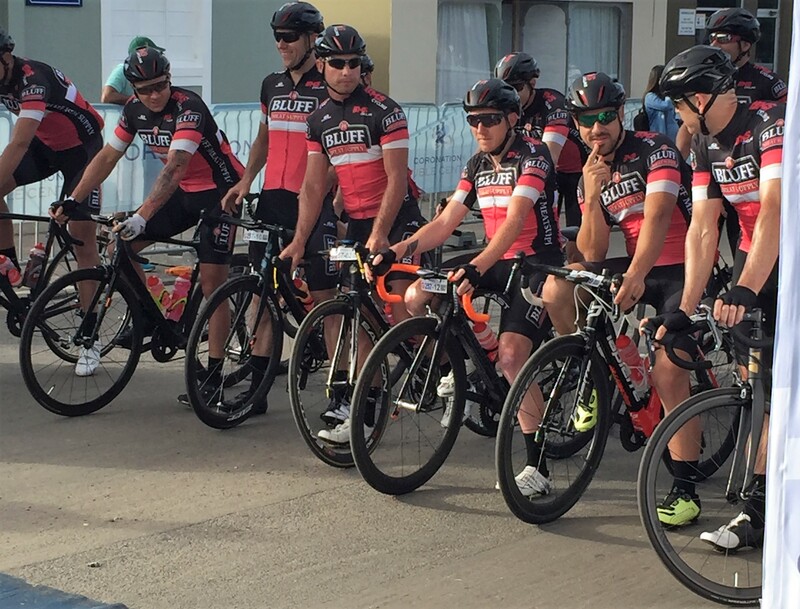 This year, BMS Cycling took a decision to not only focus on their own racing achievements, but to also make a meaningful difference in cycling development. As a proudly KZN business and team, a partnership with the GO!Durban Cycle Academy provides them with the perfect opportunity to give back to the community. BMS will support the grassroots development of the academy as well as the top riders in the programme who will become the pro-am team and who will benefit from mentorship and social integration with the BMS Cycling team. “We will help fuel them with the BMS competitive spirit, imparting knowledge and experience where appropriate, and try to get them to hold our wheel!” Bielovich says enthusiastically. Shaun Peschl, Programme Director of the GO!Durban Cycle Academy and Director of Peschl Sports is also thrilled at the partnership. “Nothing is as contagious as enthusiasm” – Samuel Taylor Coleridge. 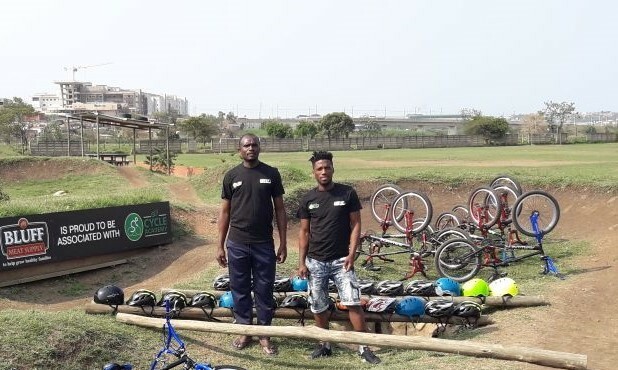 And nothing could be more true about the KwaMashu Bike Park and how the enthusiasm of the site manager, Brightson Dlala, and coach, Thobani Bhengu, has rubbed off on their community. Six months ago, Thobani noticed a growing interest from parents asking how they could also learn to cycle like their kids at the GO!Durban Cycle Academy, so he sent out a message on the parents’ Whatsapp group and the response was incredible! He now coaches 25 mothers from KwaMashu as well as other areas including Pinetown, Morningside and Inanda every Saturday morning while the GO!Durban Cycle Academy members are in tutoring sessions. The effect on the community has been so positive that the parents even ask to ride in the early morning hours before work. “The moms love it because they can have fun and socialise with their friends while they are riding,” says Thobani. “Even those with health problems want to ride because it makes them feel better,” he explains. While the approach for teaching parents to ride a bike may be slightly different to the fearless young kids, the result is the same – happy, smiling faces. And now the culture of cycling is spreading throughout the community. Thobani was born and raised in Soweto and moved to KZN in 2015 at the age of 20 to pursue a career in the marines, but fate had a different plan for him and led him to Durban Green Corridors in January 2017, where he began working as a bike coach at the KwaMashu site. Thobani learnt to ride a bike from a young age and his BMX skills were made evident when he made it to the top 16 of the Red Bull Pump Track World Championship event in KZN in April this year. His skills on two wheels and passion for the youth to succeed are a powerful combination, and he has earned the love and respect of his new community. Brightson was born and bred in KZN and has been very involved in playing sports as a way of staying off the streets since he was a young boy. He now has three children of his own (aged 13, 3 and 2) and is passionate about sharing the valuable life lessons he learnt from sport with others in his community. He was previously employed by Durban Green Corridors and joined the GO!Durban Cycle Academy in 2016 when the construction of the KwaMashu bike park was underway. While Brightson is slightly older than the other coaches, he is young at heart and brings a great level of wisdom to the programme. 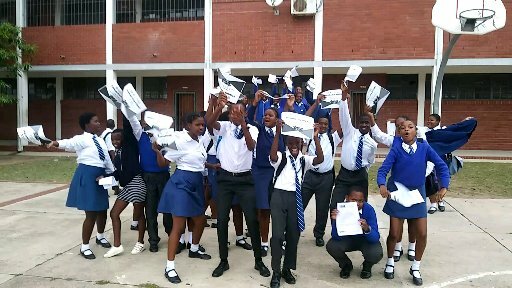 For more information about how to get involved with the adults programme, please email us at cycle@godurban.co.za.